PHMSA Rulemakings Update. The tables below summarize the status of the Pipeline and Hazardous Materials Safety Administration’s (PHMSA) pending pipeline safety rulemaking initiatives as reflected in the Department of Transportation’s (DOT) June Significant Rulemaking Report and the Office of Management & Budget’s (OMB) Office of Information and Regulatory Affairs (OIRA) Spring 2018 Unified Agenda of Regulatory and Deregulatory Actions. The Unified Regulatory Agenda appears in two principal parts, Current Agenda Agency Regulatory Entries for Active Actions and Current Long Term Actions. New information is highlighted in bold. PHMSA will provide advance public notice of enforcement hearings. On June 28, PHMSA Chief Counsel, Paul Roberti, stated in a letter to the Reporters Committee for Freedom of the Press that PHMSA will implement a new practice of placing letters scheduling enforcement hearings in the proceeding’s publicly accessible docket. Members of the press interested in observing a hearing must submit an advance request to attend. PHMSA requests comments on revised hazardous liquid annual report form. On July 13, PHMSA issued a notice requesting comments on proposed revisions to the Annual Report form for Hazardous Liquid Pipeline Systems (PHMSA F 7000-1.1). PHMSA proposes to add “carbon dioxide” to the name of the form and to revise Part J to remove the column for “Rural Low-Stress Pipeline Segments Subject ONLY to Subpart B of 49 C.F.R. § 195” because this type of pipeline does not exist. The proposed forms are found on Regulations.gov. Comments are due September 11. The Voluntary Information-Sharing System Working Group will meet on August 23. On June 22, PHMSA announced that a public meeting of the Voluntary Information-Sharing System Working Group will be held on August 23 in Washington, DC. Register for the meeting here. House Subcommittee convenes pipeline safety hearing. On June 21, the House Subcommittee on Railroads, Pipelines, and Hazardous Materials of the Committee on Transportation and Infrastructure convened a pipeline safety oversight hearing addressing the status of PHMSA’s implementation of various statutory directives. Witnesses included PHMSA Administrator Skip Elliott and representatives from the pipeline industry, and the Pipeline Safety Trust. Among other things, Administrator Elliott stated in prepared remarks that issuing the final rule addressing the safety of hazardous liquid pipelines is a high priority and that the agency is preparing a notice of proposed rulemaking to address shut-off valves and rupture detection. Generally, with reauthorization of the federal pipeline safety program looming in 2019, Subcommittee members expressed concern about the delay in implementing regulatory programs required by the 2011 and 2016 reauthorizations. The NTSB issues safety recommendation regarding installation of PermaLock mechanical tapping tee assemblies in gas distribution systems. On June 18, the National Transportation Safety Board (NTSB) issued a Safety Recommendation Report addressing the incorrect installation of PermaLock mechanical tapping tee assemblies in gas distribution systems. Following residential gas explosions connected to incorrect installation, the NTSB recommends that PHMSA work with state pipeline regulators to modify inspection programs to address installation best practices, and recommends that Honeywell, the manufacturer of the PermaLock mechanical tapping tee, update installation instructions. On June 19, the New York Public Service Commission published a notice of proposed rulemaking to amend Part 255 of the state’s pipeline safety regulations applicable to gas transmission and distribution pipelines to adopt new federal regulations adopted in 2016 and to make clarifications and technical edits. 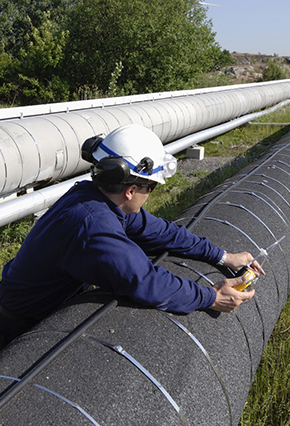 The amended provisions address excess flow valves, notification of conversions from non-jurisdictional to jurisdictional fuel, the qualification of gas pipeline welders, control room training, and the inspection of pressure-regulating devices. Comments are due September 4.